For reasons we won’t get into here because, c’mon, read a damn newspaper, FX’s Archer has suddenly found itself in an uncomfortable position due to the show’s focus on an organization that operates under the acronym “ISIS.” Speaking at New York Comic-Con—which is like San Diego Comic-Con but everyone’s a bit pushier—Archer‘s cast and crew revealed how the show would respond to real life’s sudden intrusion on the ISIS name. According to co-executive producer Casey Willis, the show is going to drop ISIS as quickly and quietly as it can, with the name being addressed in a “very smart and subtle way” right in the first episode. That comes from the New York Daily News, but The Daily Beast has an actual description of the scene for anyone who doesn’t mind spoiling a little visual gag. The Daily Beast also reports that the show has scrubbed any mention of ISIS from its upcoming season, and Jessica Walter even re-recorded some of her lines for the first episode to explain that the spy organization now works for the CIA. Matt Thompson, one of Archer‘s executive producers, referred to the real ISIS as “the most awful thing,” and he said the show’s staff “didn’t want to have anything to do with it.” He also notes that South Park would’ve done a whole arc about it, going after the terrorist organization for stealing their name, but in the Archer universe that version of ISIS simply doesn’t exist. Of course, Archer being a pretty popular TV show, simply erasing the ISIS name isn’t the end of this. FX is now stuck with ISIS-branded merchandise that nobody will ever want to buy, and it sounds like—at least for a moment—someone at FX suggested turning ISIS into the bad guys. We’re not sure how that would keep people from associating the name with a terrorist group, but, apparently, less desperate heads prevailed and the Archer online store is now fully ISIS-free. Thankfully, a replica of Pam’s dolphin puppet is still available, though. Nobody can take that away. 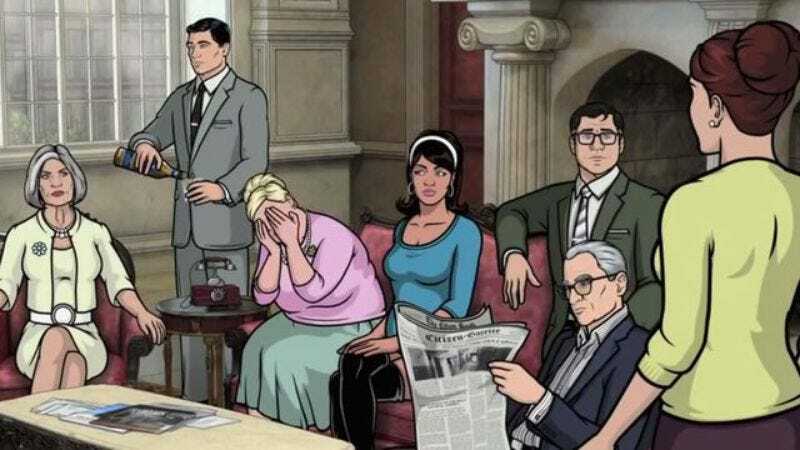 Now let’s just hope the CIA never becomes associated with anything horrible, and Archer won’t have to worry about this again.